Often when designing a deck, customers are focused on the ‘look’ of the deck boards only. But there are even more options for deck railings. Railings create a defining style for your deck with their prominent visibility from your home, yard, and neighborhood. An array of colors choices are available with wood finishes as well as composite and vinyl deck materials. Next, pair the deck boards with a beautiful railing system to complement, not only the deck, but your home’s architecture. Railing choices include: wood, wood trimmed with metal pickets, vinyl or composite railing, aluminum railing, decorative metal balusters and more! 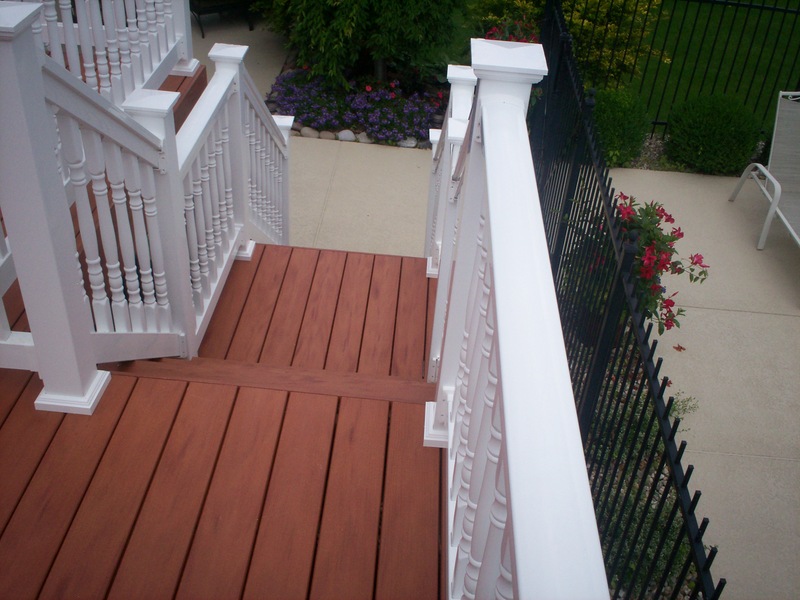 Visit our ‘Railing Options’ photo gallery for outdoor living in St. Louis and St. Charles, Missouri. Deck and Railing Designs: How to choose?